The first-person shooter classic Doom has just got an update from one of its original creators, John Romero, 21 years after he last created a level for the game. 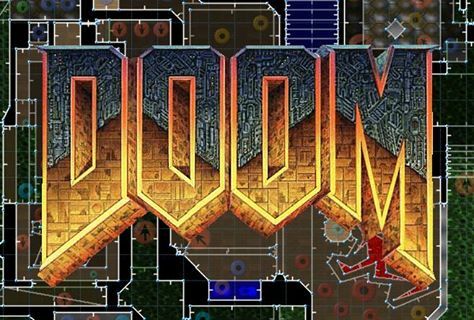 Romero has just made his first free, open-source map for the original Doom, offering fans a shareware version that can be downloaded from Dropbox and played without having the game installed. Since it first launched in 1993 as a shareware test, which many people distributed on floppy disks, fans have created their own versions of the maps featured in the first game. And people have already started sharing their attempts at completing the new level, which has 232 monsters and 10 secrets, online. In the map’s readme file, Romero called its development “a warm-up,” no doubt a nod to the work currently being done on a Doom reboot. This is coming this Spring on Xbox One, PS4 and Windows, and is a collaboration between Romero’s ID Software and publisher Besthesda. It offers multiplayer games and will come with the ability to quickly make and share levels with the community.